When planning events, do you take into consideration the languages that your attendees speak? When you host events in English, do you consider the possibility that attendees may not be native speakers? English is spoken by many people, but do we all speak it equally? We travel and conduct business internationally, but to what extent do we pay attention to the language proficiency of our delegates, and even trying to accommodate for a second or third language? Deciding to explore this topic further, I hosted the #eventprofstalk Twitter chat. We discussed how to deliver multilingual content and engage multilingual audiences at events. First things first, before deciding whether there is a need for multilingual content, we have to determine who our audience is. How can that be done? Either by asking our audience during the registration process or taking a decision based on where our event takes place. 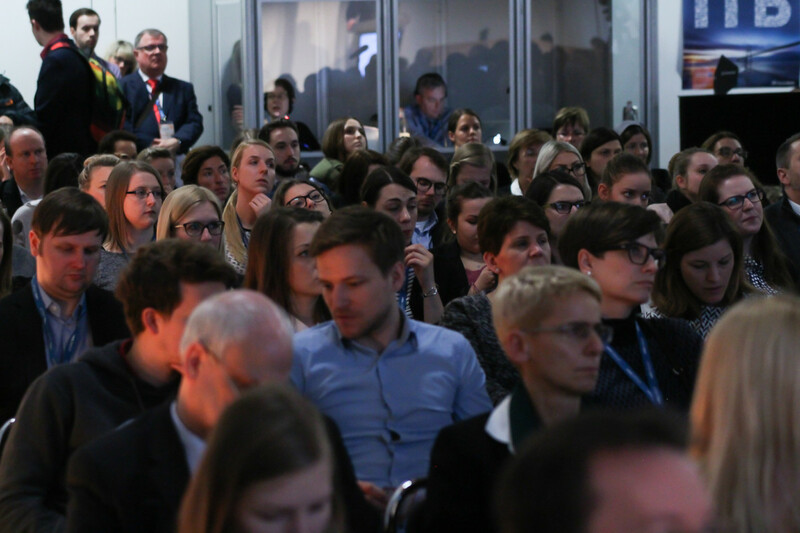 If it is held in Germany for example, and even being an international event, it is fair to expect that a high percentage of the audience will speak German. Johnny Martinez, Business Development Manager at Shocklogic, suggested that “Location obviously plays a big part. Especially at international events, you may need to accommodate for English speakers (the global language) and the local language”. If you want to go the extra mile, create a bilingual website and registration forms. With the benefits, there are also challenges that should be addressed in advance by organisers who want to deliver multilingual content at events. According to chat participants, Becky and Johnny, the three main issues are time, budget and staffing (professional interpreters). A way around providing interpreters could be using an app, such as Interprefy and Interactio App. Jonny noted that these apps can remotely translate event content, instead of having interpreters on-site, reducing travel and accommodating costs. There are also ways around breaking the language barrier and ensuring that everyone is involved. Visual content, gamification, creating crafts and other kinaesthetic activities will help bring the message across in a way that everyone can understand and engage with the topic. Language is also about culture and values, so if you offer your participants to engage in a team-building activity that highlights the local traditions, values, cuisine, music or alike, that can put everyone on a level playing field, people will find ways to learn and communicate with each other without the spoken word. Having lived in five countries myself (Russia, Israel, Switzerland, the UK and now Germany), I pay close attention to languages and that is a topic which greatly interests me. Living in the UK for the past five years has made me aware that my English was not as good as I initially thought, and over the years I had to work on my language proficiency. I am sure that this situation is also the case for many international attendees who have different levels of spoken and written language. Being aware of this issue, and trying to accommodate for different levels of language proficiency, as well as for second or even third languages, can enhance the event experience for your delegates and build a stronger brand presence both locally and globally.